The Boathouse Shelly Beach was completely refurbished in 2015, offering a brand new contemporary, beachside venue. 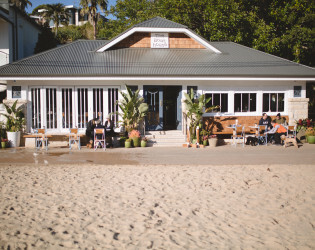 The space is a private, designer event space upstairs at The Boathouse Shelly Beach, accessible via the garden boardwalk. 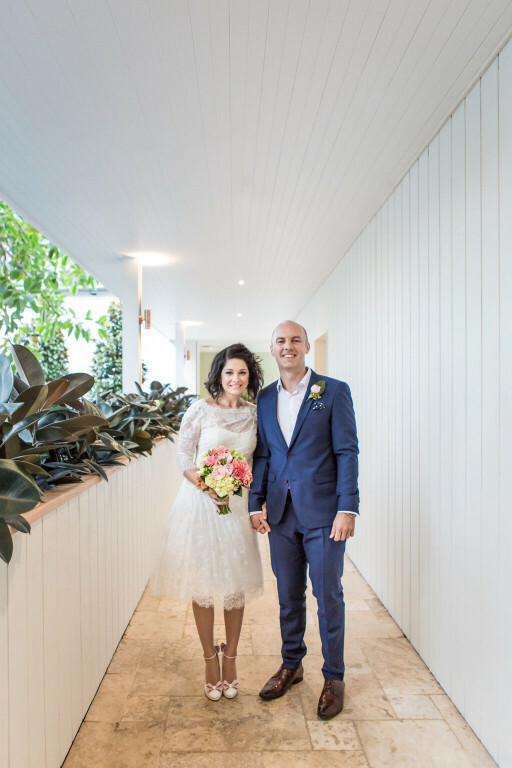 There are sweeping ocean views of Shelly Beach and Manly, and the venue is surrounded by abundant, tropical landscaped gardens. 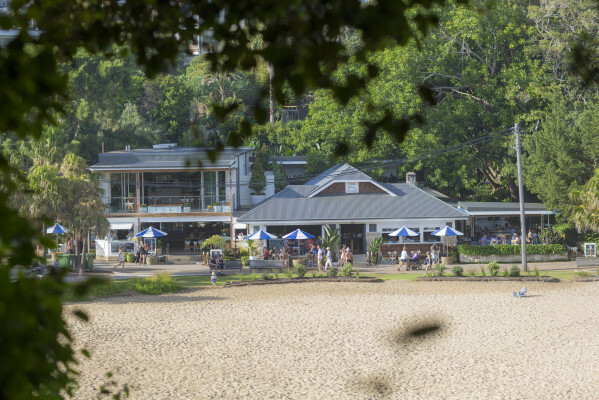 The Boathouse Shelly Beach was completely refurbished in 2015, offering a brand new contemporary, beachside venue in an idyllic location. 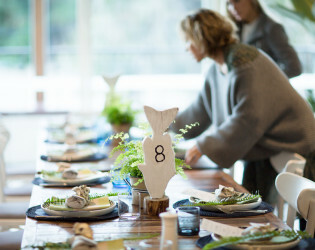 The space is a private, designer event space upstairs at The Boathouse Shelly Beach, accessible via the garden boardwalk. 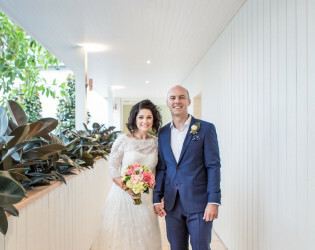 There are sweeping ocean views of Shelly Beach and Manly, and the venue is surrounded by abundant, tropical landscaped gardens designed by Andrew Goldsmith. 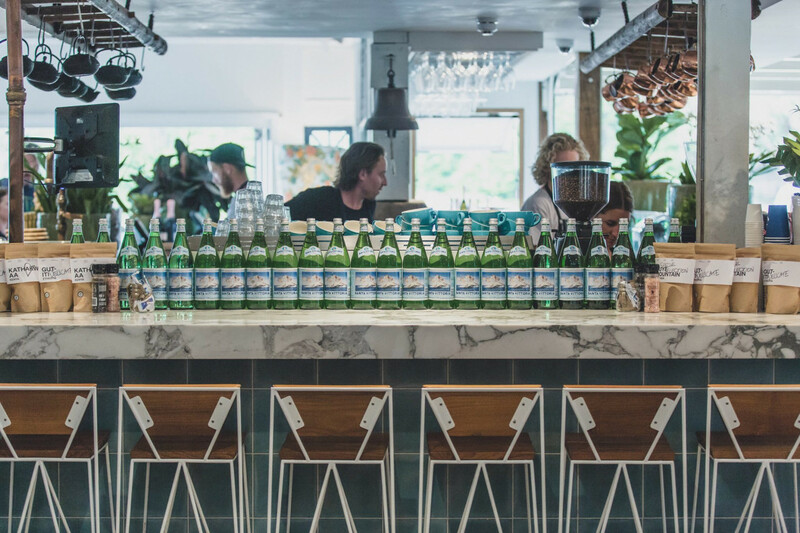 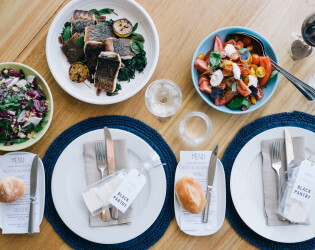 With beachside, eclectic interiors designed by Pip Goldsmith, and a fresh, modern Australian menu designed by The Boathouse chefs, The Boathouse is the perfect venue for your wedding or special event. 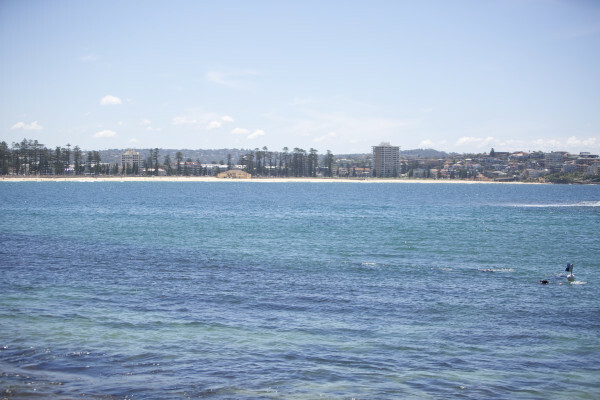 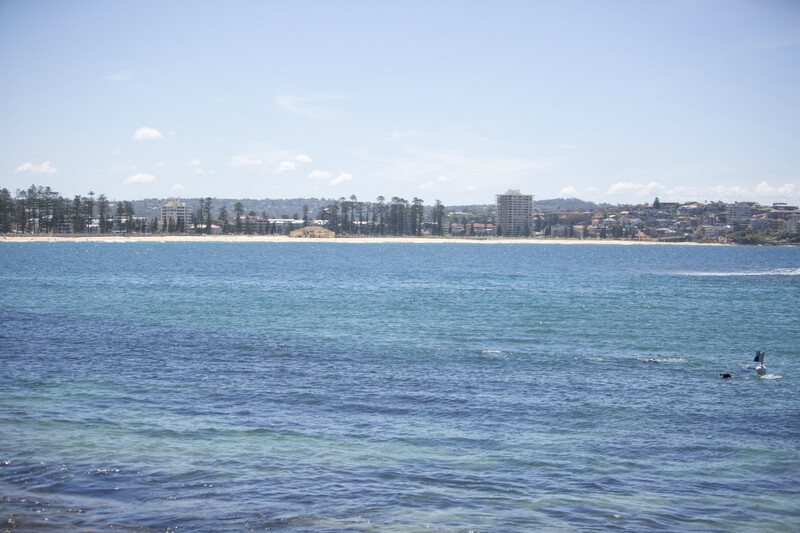 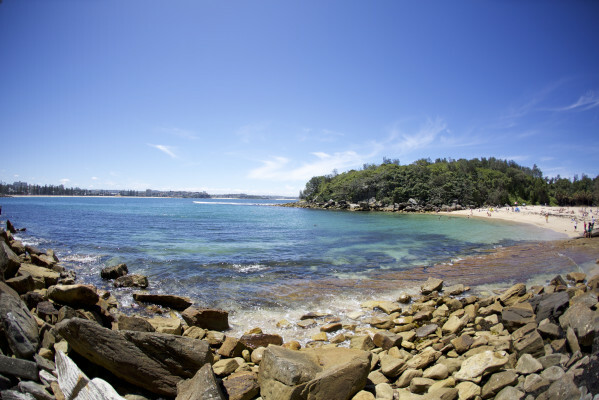 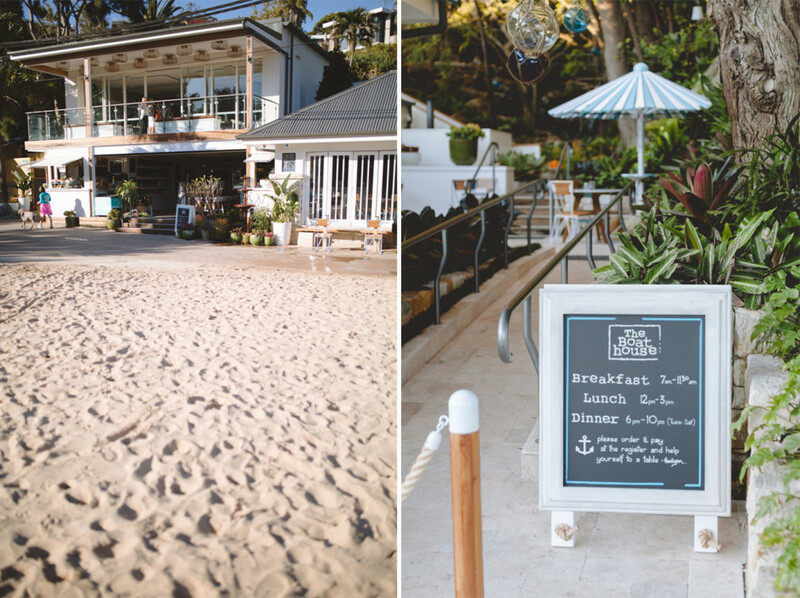 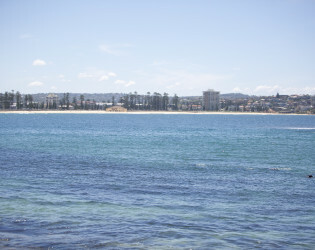 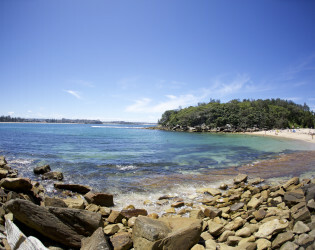 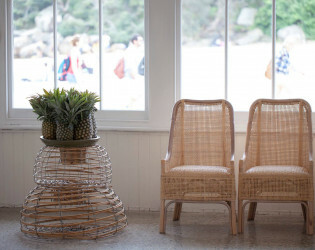 Set on the iconic Shelly Beach in Manly, The Boathouse is just steps from the sand. 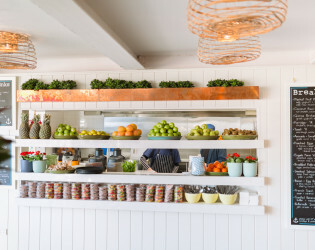 Located on the upper level of The Boathouse, guests enter via the garden boardwalk, which is surrounded by landscaped gardens with a waterfall and The Boathouse nautical glass balls hanging from the trees. With the sparkling backdrop of the ocean, your guests will enjoy drinks and canapes on the large outdoor deck. 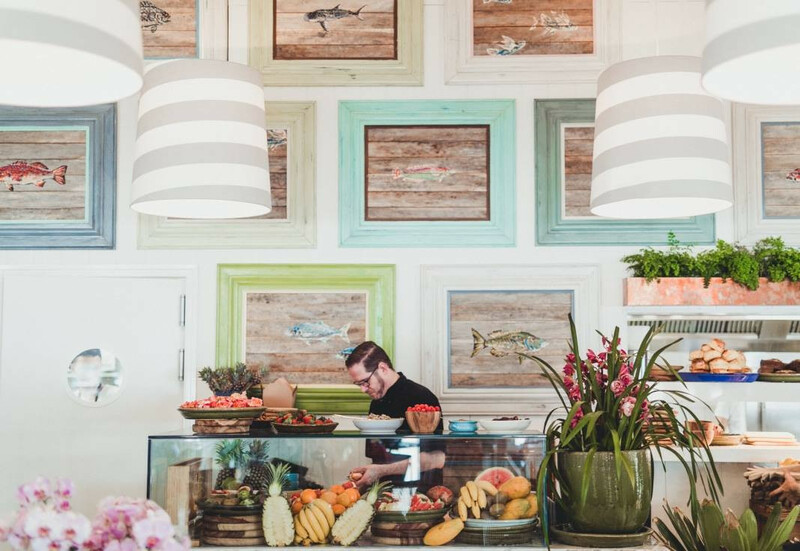 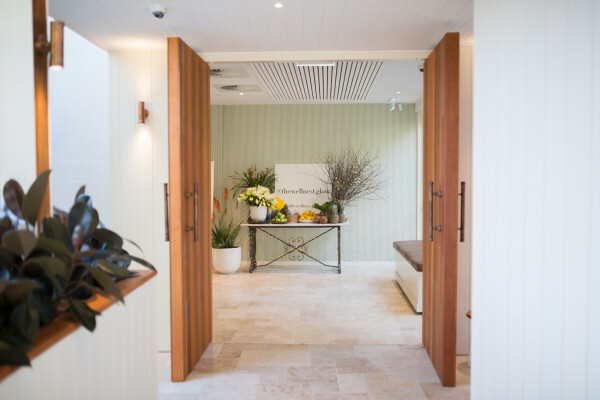 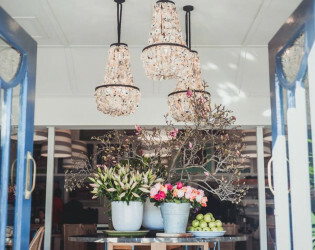 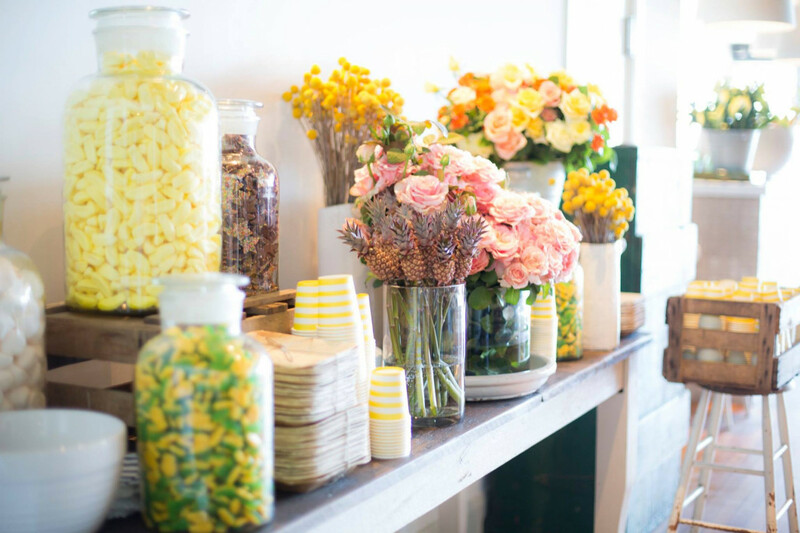 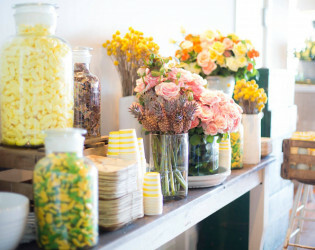 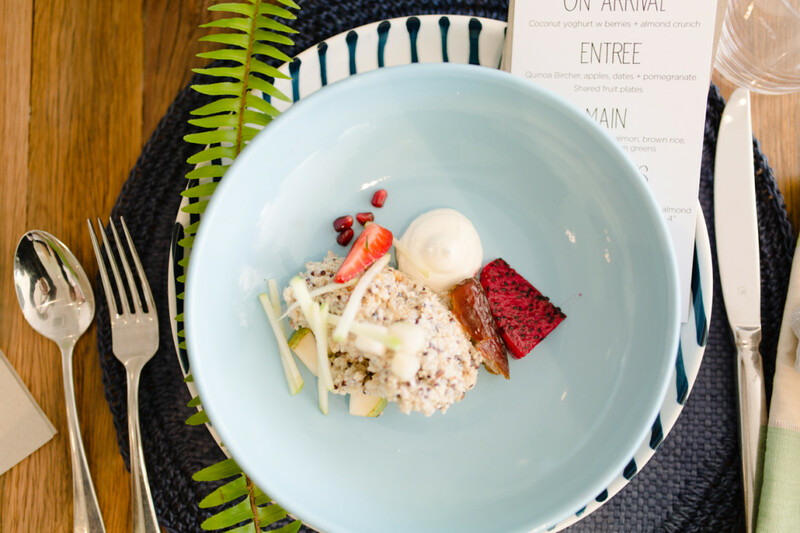 With interiors by owner Pip Goldsmith, The Boathouse Shelly Beach event space is decorated with abundant, bright floral displays on the side tables around the room, gorgeous plants and fresh fruit displays. 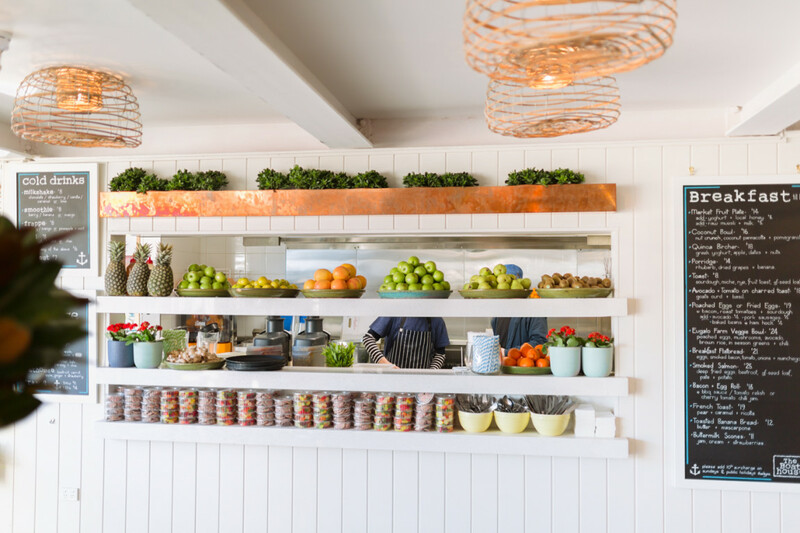 The space is light and spacious, with an open plan design from the marble bar to the outdoor deck. 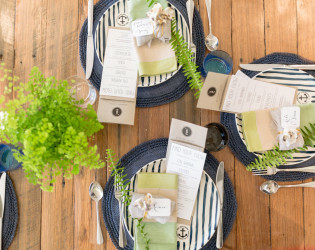 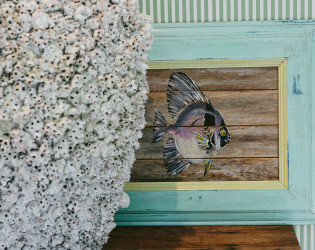 Featuring our green striped wallpaper and The Boathouse fish paintings, the venue is full of character and will create a memorable beachside and sophisticated experience for every guest. 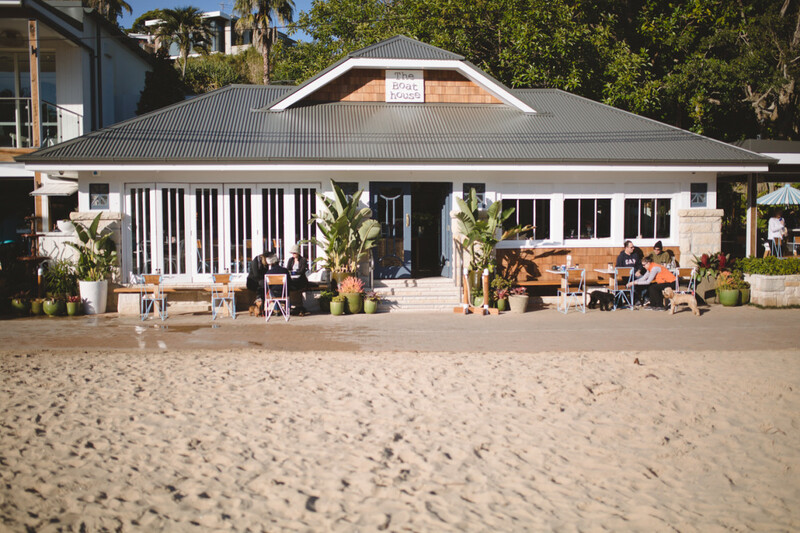 Located on the iconic + unique west facing beach in Manly, The Boathouse Shelly Beach offers beautiful water views and a private setting for your special occasion. There are sweeping ocean views of Shelly Beach and Manly, and the venue is surrounded by abundant, tropical landscaped gardens designed by Andrew Goldsmith. 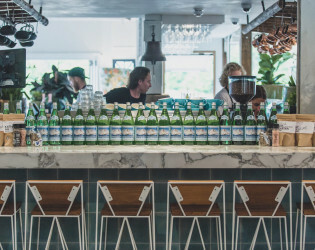 The Boathouse also offers a selection of fresh juices, smoothies, milkshakes and coconuts, cocktails, beers, and a wine list incorporating a mixture of local, imported and organic wines. 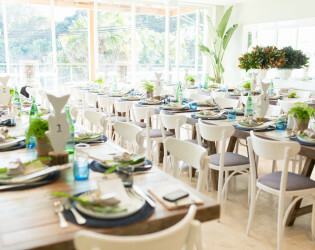 Upstairs plays home to a separate space accessible via the garden boardwalk, designed specifically for corporate events, private events, and weddings. 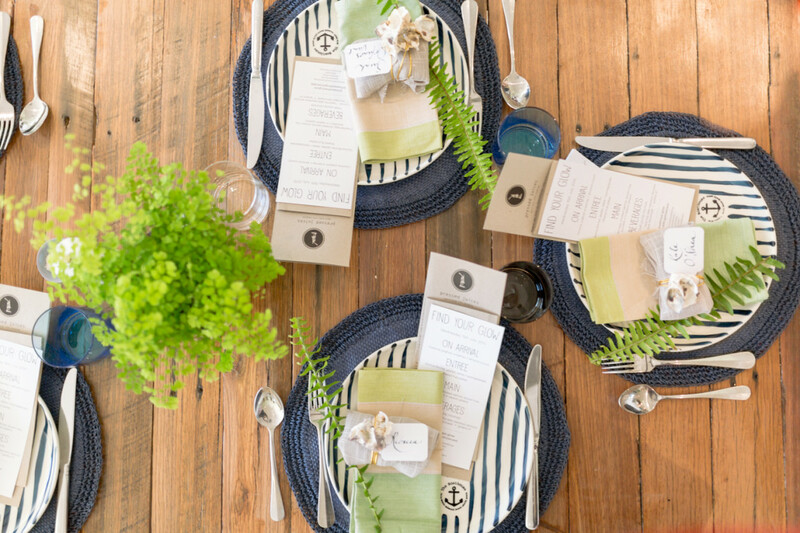 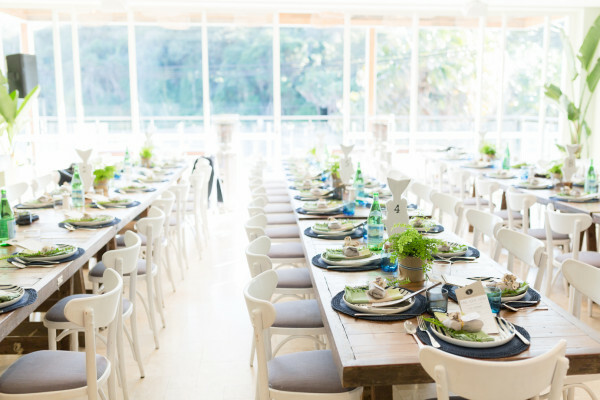 There are two package options for weddings + events at the Boathouse Shelly Beach - the Canapé Style Event or Sit Down Event. The space is a private, designer event space upstairs at The Boathouse Shelly Beach, accessible via the garden boardwalk. 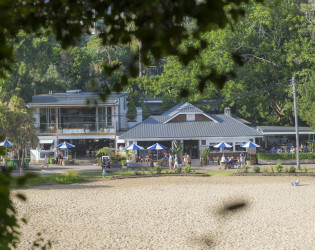 From birthdays, christenings and reunions to corporate christmas parties, end of financial year parties, product launches and more, The Boathouse Shelly Beach is the perfect beachside venue for any special celebration. 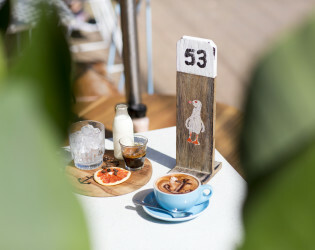 Morning pick-me-up at The Boathouse Shelly Beach. 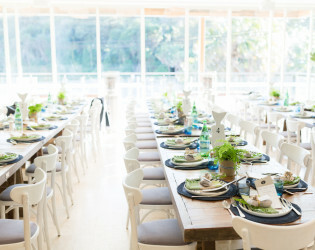 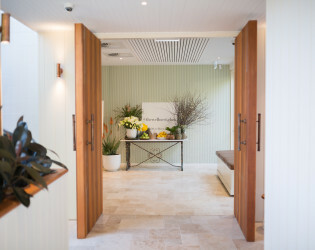 Our brand new event space on the upper level of The Boathouse Shelly Beach is a unique + private indoor/outdoor space for your special event. 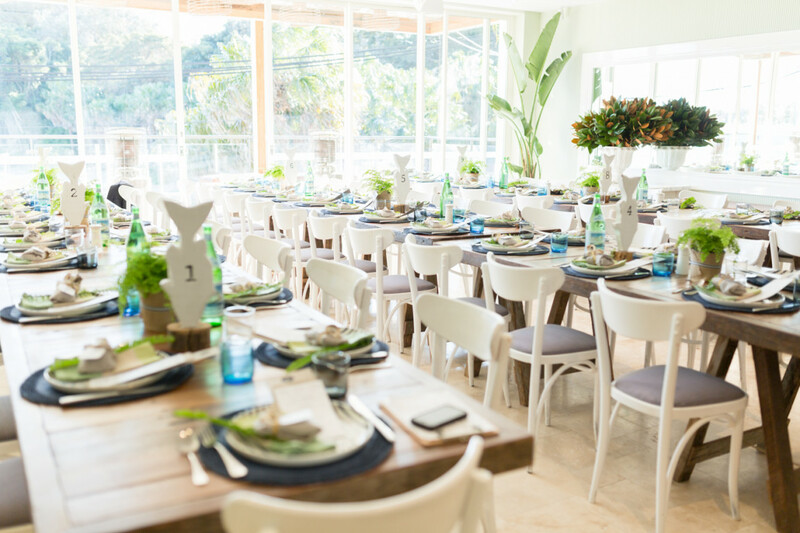 The Boathouse Shelly Beach was completely refurbished in 2015, offering a brand new contemporary, beachside venue in an idyllic location. 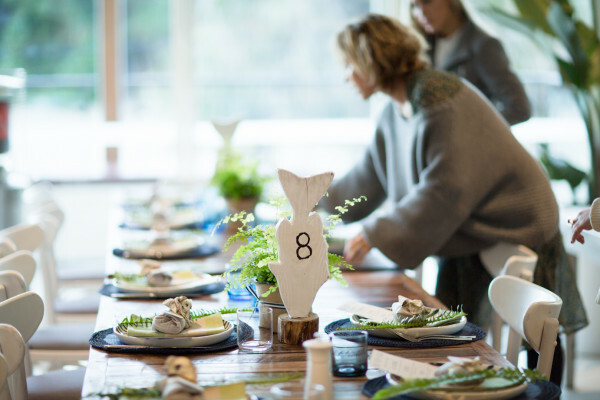 With beachside, eclectic interiors designed by Pip Goldsmith, and a fresh, modern Australian menu designed by The Boathouse chefs, The Boathouse is the perfect venue for your wedding or special event. 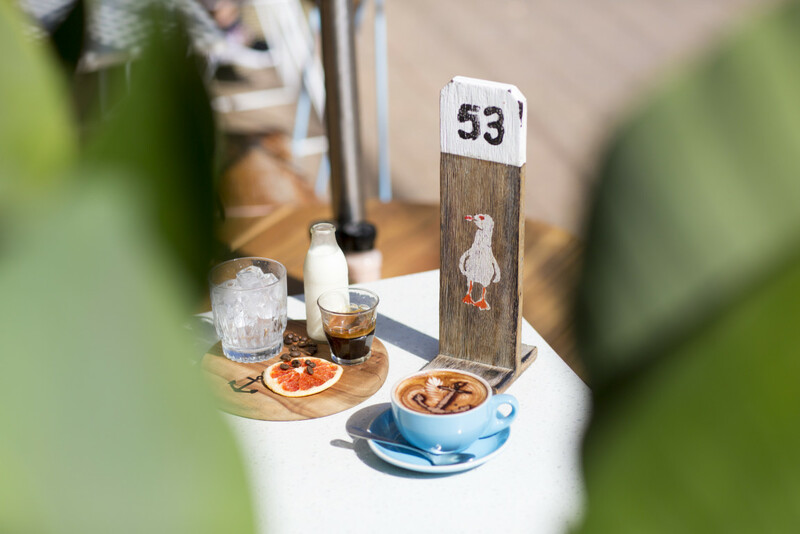 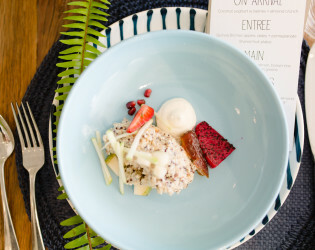 The menu incorporates some of The Boathouse custom grown produce too, including honey and honeycomb from our bee hives at Whale Beach, micro-herbs and edible flowers from our local Northern Beaches grower, and free-range eggs and chickens. 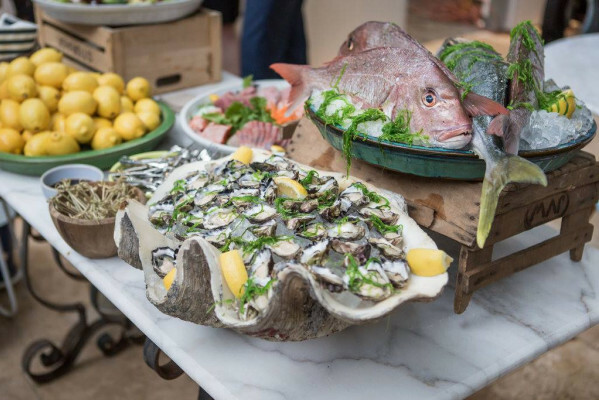 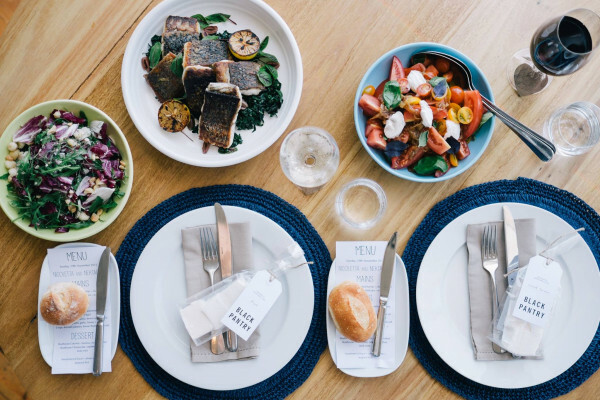 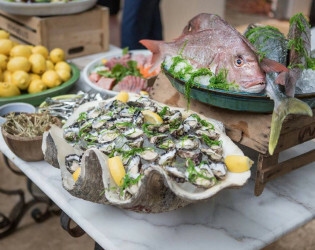 The menu concept is seasonal and simple, offering fresh modern Australian cuisine with a seaside focus, to be enjoyed on a mixture of communal and individual indoor and outdoor table settings. 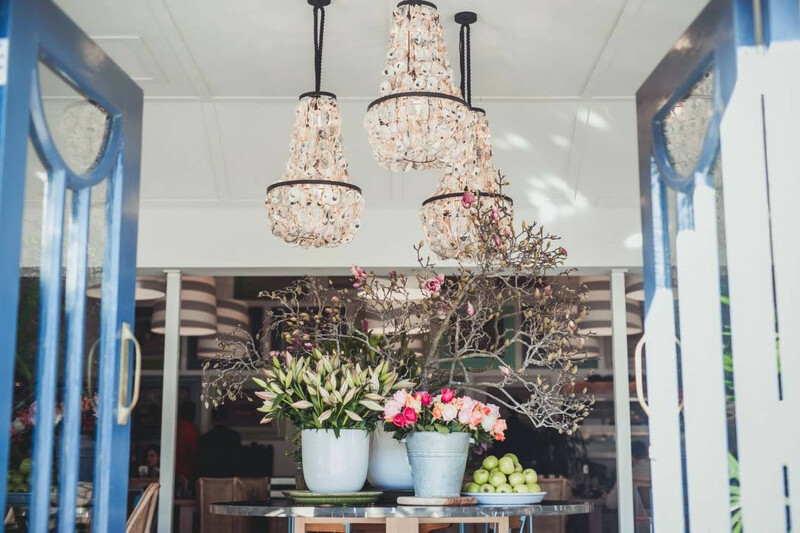 The space is light and spacious, with an open plan design from the marble bar to the outdoor deck. 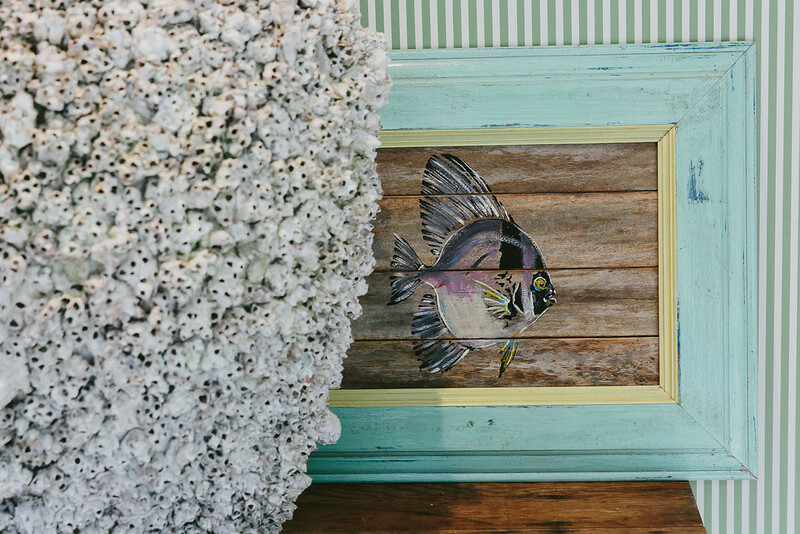 Historic features of this gorgeous building are being restored. 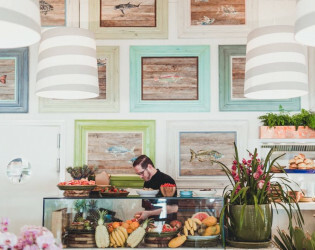 Featuring our green striped wallpaper and The Boathouse fish paintings, the venue is full of character and will create a memorable beachside and sophisticated experience for every guest. 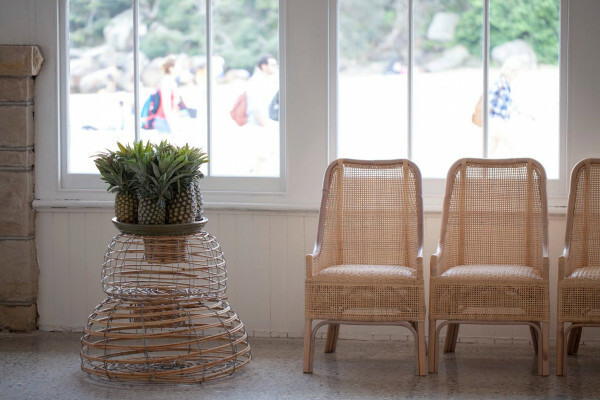 At the bar | Shop The Boathouse signature furniture pieces.